The NEW Tyre Control 2 Tool. RG Racing Limited is the official agent for Alfano in the UK. 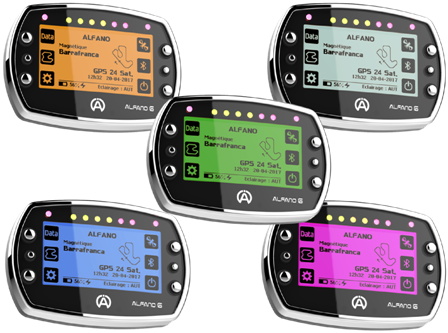 We are working closely with the Alfano Factory to ensure all customers have the latest technology in timing and data logging solutions. The team offer online purchases via secure payment methods. This is via this web site or telesales. We supply to motorsport competitors and businesses throughout the UK. The team use Alfano and Castrol products at motorsport events. RG Racing Limited is a company that has been or is currently involved in F1, F3000, F3, Formula Renault, Formula Ford, European Touring Cars, BTCC, DTM, World Sidecar's, Motocross, World Superbike's, ERC / International Rallying and Karts.